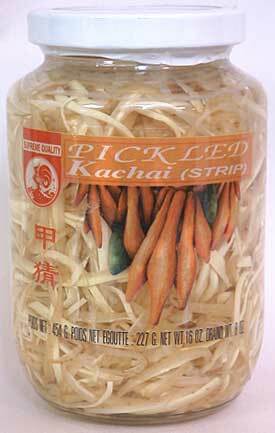 Krachai is a rhizome with a unique flavor. We recommend this product in our recipe for khanom jin. Ingredients: krachai, water, sugar, salt, sodium benzoate as preservative. Product of Thailand. We also offer krachai powder.